Do You Want to Start a Sublimation Printing Business? Sawgrass' Virtuoso HD Product Decorating System makes personalization and full-color customization both possible and profitable. Virtuoso is more than just a printer, it is a turnkey solution that includes virtually everything you need to start a business: Printer, Ink, Design and Print Software plus the Sales, Marketing and Technical Support you need to grow. Whether you're starting a new business or want to diversify and grow your existing business, Sawgrass and your local Sawgrass Reseller are passionate about helping you get up and running quickly, and growing your business for years to come. 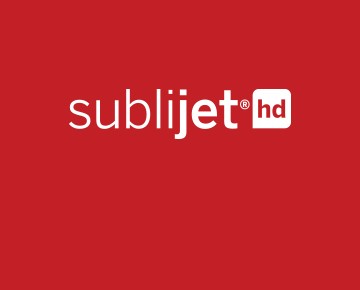 Uniquely formulated for the Virtuoso HD Product Decorating System, SubliJet-HD deliver the highest definition images possible with vibrant, true-to-life colors. The first sublimation printers co-engineered with Ricoh, Vituoso SG 400 and SG 800 printers deliver dazzling, HD photo-quality reproduction at amazing speeds. Sawgrass’ innovative online design software and stock design library, developed to help you quickly and easily produce transferable images that keep customers coming back for more. Discover the many applications and markets that you can profit from as a digital decorator.